The Virtual Humans Group at UEA has developed technology for designing and animating virtual human characters. The unique aspect is the development of a ground breaking system for synthesised animation from a written notation for specifying gestures, integrated with a state of the art avatar animation platform that combines precise skeletal animation with accurate facial gestures. 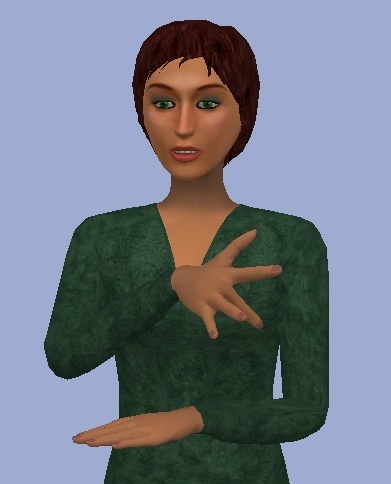 A particular focus of the work is in animation of sign language to aid in communication for deaf people. The technology supports interactive generation of sign language that is animated in realtime, thus supporting applications that cannot be implemented using video resources. The technology is available as an automatically installed web plugin. The technology is integrated with software generating realistic lip-sync, for applications using speech. Avatars have applications in broadcasting, entertainment, and education. The SYS Consulting avatar technology is compatible with industry standards and the use of a gesture scripting notation allows generation of animation without the need for complex motion capture or manual animation techniques. Since animations can be applied to any compatible virtual human character, it is straightforward to provide branded avatars for specific purposes. The application of the technology to deaf signing is particularly important as a potential tool to meet accessibility requirements for those whose preferred medium of communication is sign language. See the panel to the left for links to Case Studies describing applications of SYS Consulting Avatar technology including the BAFTA-nominated Performing Hands resources and Say It Sign It developed with IBM.